Travelling is a question of flavours, perfumes, and histories. The voyage is in the returning as well as the going. It is an experience that leaves something to tell, and something to remember. Coffee Roots has been all of this. An adventure that Lavazza has strongly supported and that was born out of the passion of professionals who, invited by the Company and guided by the journalist and gourmet Vittorio Castellani, aka Chef Kumalé, began searching for the origins of coffee, from Jordan to Turkey, from Tunisia to Senegal, and from Indonesia to Syria, to recount these roots in words and images. A journey into time through extraordinary countries where coffee is more than just an occasion for a break: It is a ritual surrounded by legends and stories, and thanks to which traditions and secrets are handed down. Like the Tunisian jasmine ceremony of Sidi Bou Said, the sacred coffee of Bamba in Senegal, the „Black Wine of the Prophet“ in Yemen, or the word to say thank you, daïmé (forever), for a cup of coffee in Syria. It is also a discovery of the Dervishes Sufi who made mystical coffee an integral part of their liturgy; it is a visit to Hammàm, a place for purification, relaxation, and enjoying a cup of coffee, and it is a close-up encounter with Saray Coffee at the court of the sultans, where the Kahveci usta, the women of the harem, were specially trained to serve coffee during the sultan’s visits. The Coffee Roots project is a discovery of a varied and unknown world, in which atmosphere and rituals come together. It is an unwritten heritage that risked being lost, which Lavazza will bring to the public through rich documentation in the form of video, photographs, and texts collected on the website www.coffeeroots.lavazza.com. A heritage that Lavazza was pleased to present at the Salone del Gusto 2006. With Coffee Roots, Lavazza aims to share the route toward worlds far from its producing tradition, but close to the passion that has always motivated it: the discovery of a beverage that for over four hundred years has enhanced differences and strengthened bonds. Because around a cup of coffee, the ritual gesture is repeated, stronger than differences, more powerful than distances. 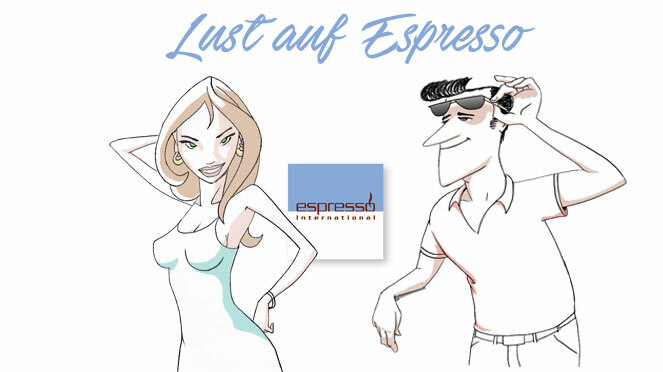 About 400 years have passed since coffee first came to Europe, and millions of people worldwide now drink their daily cup of espresso without knowing where this wonderful product originated. If you were to walk into a bar and ask the average person where the ancient roots of the coffee plant lie, you’d probably hear the reply: in Brazil! Coffee Roots is a journey in search of the roots of the coffee culture, a retrospective yet highly topical journey through time and space, to rediscover the origins of the magic coffee bean and its first appearance in the West. Its chapters are the result of a preliminary investigation of the habits, customs and traditions associated with the material cultures of the countries we travelled through while producing our research. The reports were carried out on-site, to record, in words and pictures, the remarkably varied ways in which different peoples have ‘adopted’ coffee and adapted it to suit their tastes. Although, at the dawn of the New Millennium, the worldwide popularity of espresso can be considered the ‘universal language’ of coffee shared across the continents, it is important to remember that each country has its own ‘local dialects’ that still exist today: the rituals, ceremonies, habits and ways of drinking coffee associated with individual traditions that are quite different from those we are used to seeing every day. Few other commodities in the world are so closely related to the human life cycle and its social, environmental and cultural context. While sipping a cup of coffee, people celebrate births, rites of passage and the initiation to manhood; they ask for a woman’s hand in marriage or remember the death of a loved one. Around a cup of coffee, business is conducted, the future is predicted, conflicts are resolved, and the bonds of family clans are strengthened. Coffee is a beverage that has managed to communicate with diverse cultures, celebrating and enhancing this diversity without fear. From Africa to the islands of Asia through to the Middle-East, Turkey and the Balkans, coffee speaks different languages and cuts across all religions: it is drunk by Christians, Jews, and Muslims but also mystics, Orthodox, and animists. In the cities of the Near East, birthplace of the first popular, musical, political or literary cafés, a cup of coffee has always been (and still is) a beverage for meditation, an excuse to stop time, which ticks by too quickly, to discuss and debate, read, write or even just to watch and listen. The passion for coffee has cut through all social classes indiscriminately, entering the halls of power and even gaming houses and brothels, delighting poets, musicians, travellers, mystics, workers and gamblers alike. The choice of countries is not random but follows a precise chronological and cultural path, apart from a few diversions into Senegal and Indonesia, which we wanted to include because of the strikingly unusual aspects of coffee-drinking rituals in these countries. This book would have never been written without the support of the Lavazza family and the collaboration of its reliable, well-informed staff, to whom I extend all my gratitude for having believed in this exciting adventure. Vorheriger ArtikelWie lange kann man Kaffee aufbewahren? I attended the workshop at the Salon del Gusto and I saw the book. Where can I buy it? I cannot seem to find the page on-line where it is possible to buy the book. Warum gibt es keine Übersetzung auf Deutsch?